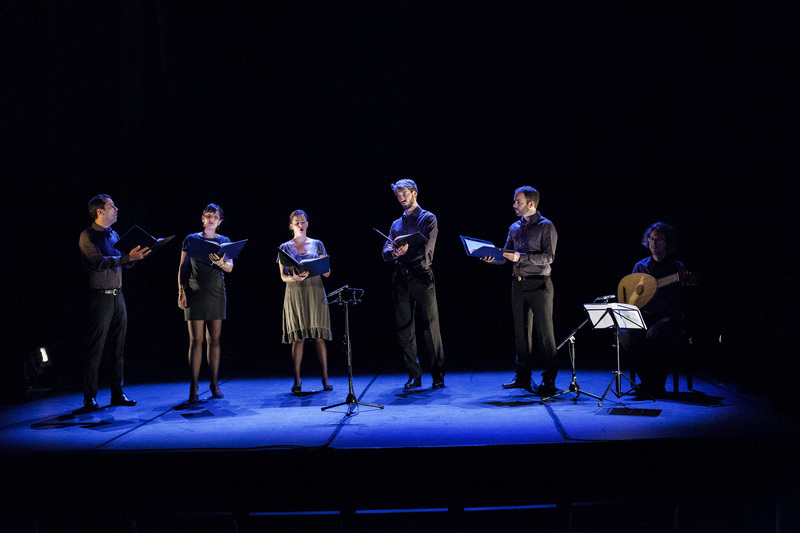 This programme created by La Main Harmonique was the result of a desire to offer audiences an intimate and original context in which they could have a modern experience of songs from the Renaissance. The diffusion of pre-recorded sound sequences, the soundscapes, as well as the live recording of the singers’ voices, respond to each other through a sound spatialisation device. 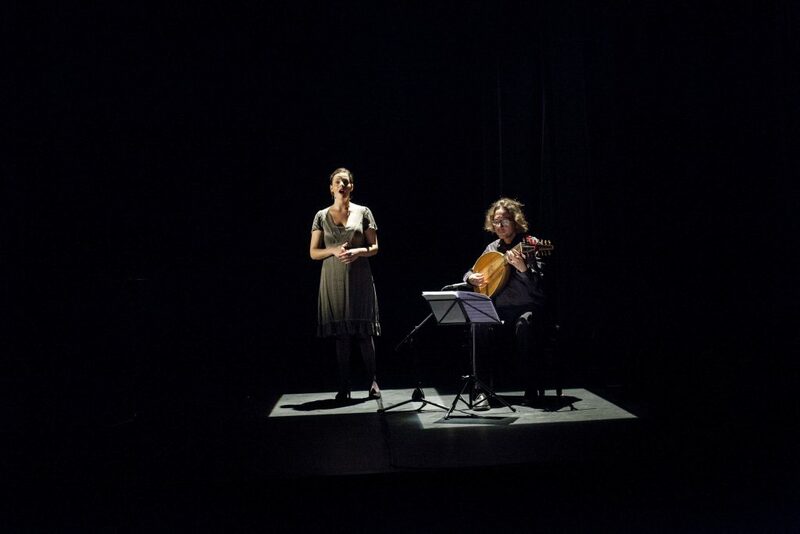 The songs, small, finely chiselled pearls, true miniatures, sometimes funny, sometimes serious, illustrate the worries of everyday life as well as testifying to feelings of love and the beauty of the world. “We often use the word creation for the light or sound that is added to a show. Instead of the word creator, I prefer the description of driver. A driver behind several different worlds. A series of paintings in fact that join the past to the present. First of all via the light, a stage light that makes a sense. An element that caresses, envelopes, that weighs, that isolates, that brings together, that reveals and conceals…. Via shade that reveals the darkness of an old photo, like a snapshot of a story. The concert is broken down into four parts associated with the theme of songs, society first, then love, then the suffering of unrequited love and finally peace. The lighting and the spacialisation of sound are designed to envelop the audience in such a way that it becomes the zone in which the worlds of yesterday and today can meet.